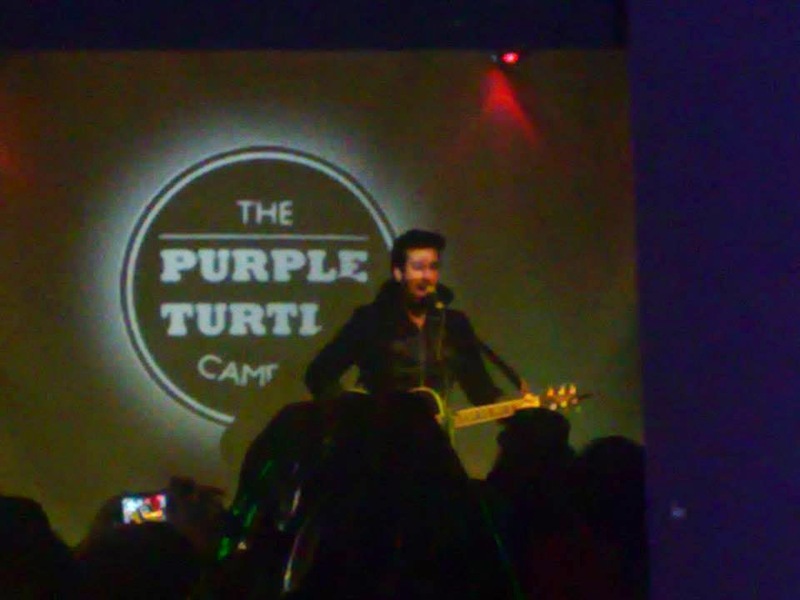 GLADSTONE: Gladstone at the Purple Turtle, Camden. 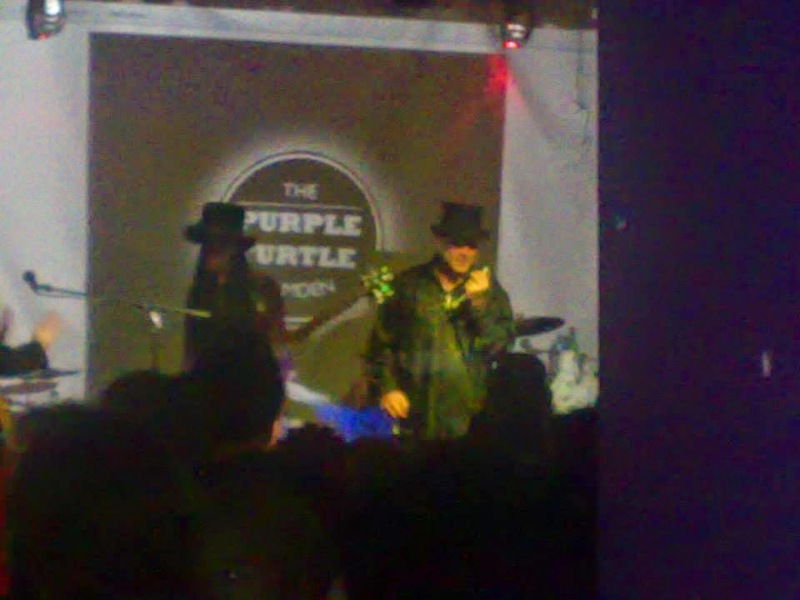 Gladstone at the Purple Turtle, Camden. 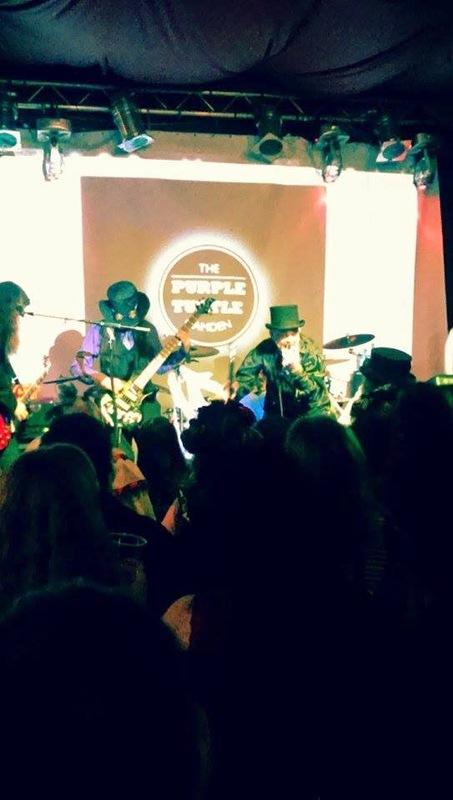 Halloween at the Purple Turtle. 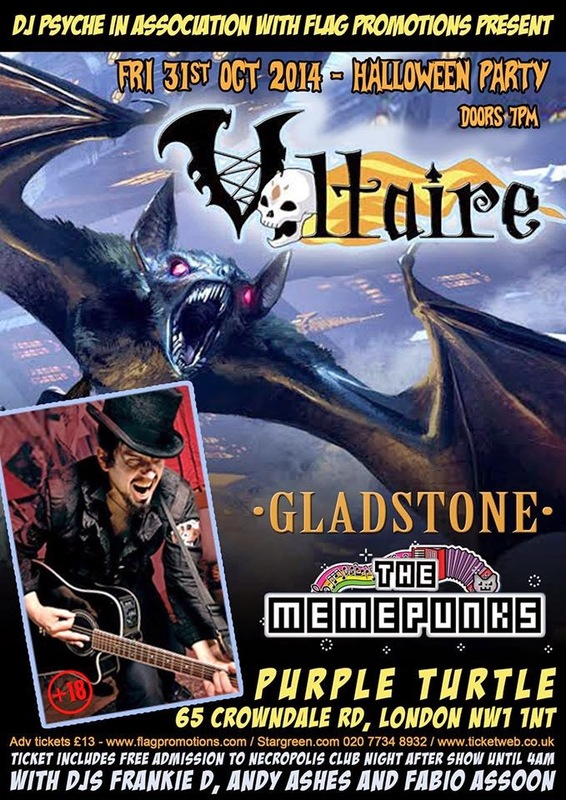 The iconic venue The Purple Turtle hosted the awesome night that was THE Halloween place to be in London, the line up included The Memepunks, Gladstone and Aurelio Voltaire. 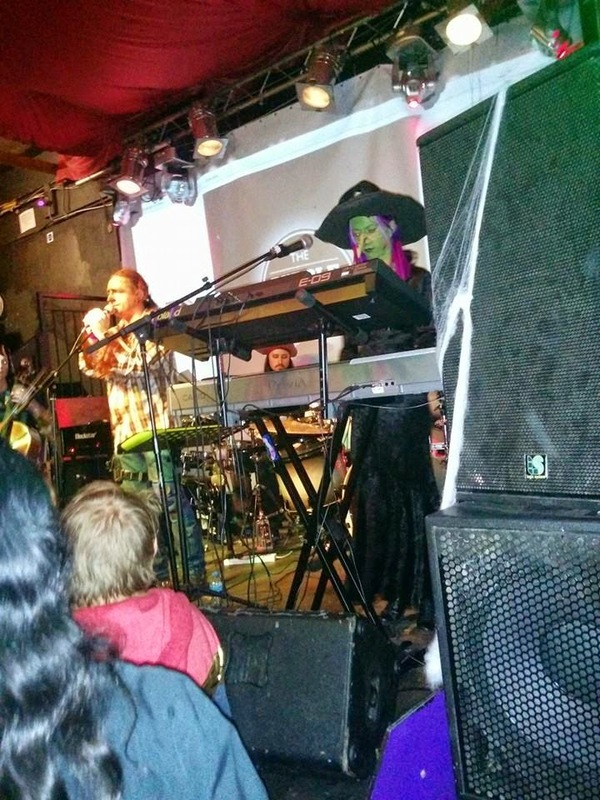 First up was the super fun mash up band The Memepunks, in a jocular fashion they smashed together songs you will recognise with theme tunes that you will also recognise to produce a heady mix of musical fun. While dancing, there will also be humming and singing along; catch them if you can. Next up were your old mates Gladstone who gave their all despite gremlins in the bass amp!! They kicked off with Night Creatures then Bluey, The Madness of Tilly Matthews, Newgate and Twisted Lip, next was the new song Gaslight which went down a treat, during one of the bassless bits Dave and Spook performed Jack Hall which was followed by Dr Dexter's Dream and The Curse of Tutankhamun, a superb gig which every member of Gladstone hugely enjoyed, it was so good to see Cloud back on guitar after his short break. 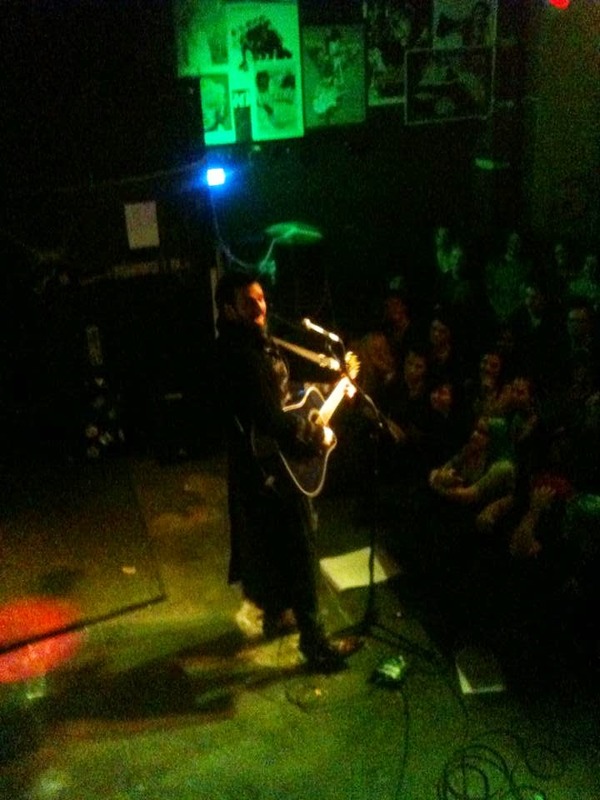 Finally it was over to the headliner Aurelio Voltaire who was, as always, very popular with the crowd with his Gothic folk extravaganza, he was indeed raised by bats! !